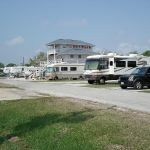 Ask fellow campers about "High Island RV Park" and nearby attractions. One night stop on the way to Brazos Bend St. Park, using the Bolivar Ferry to avoid driving in Houston. Nice little park, clean and quiet. Most sites are occupied by long term residents, but several pull throughs are reserved for transients. Even in January, beware of the mosquitos. They appear in huge clouds at dusk and we spent the early part of the evening eliminating the ones that managed to get in when I took the dog out. We camped at High Island RV Park in a Motorhome. There are two bird preserves in the town, both within walking distance. Pets are not allowed in either. The beach is not easily reachable on foot. Small privately owned park in High Island Texas. Full hookups, WiFi, long pull through site. Sites close together but overall atmosphere made the experience worth it. Here for famous spring bird migration and it didn't disappoint. Not much in way of services in town. Have to drive few miles for groceries. Will definitely return. Owner and other staff very helpful. We camped at High Island RV Park in a Travel Trailer. The sites were a bit tight but the park is clean. Used their laundry which was clean. Check-in very efficient and staff friendly. We just stayed the one night and would stay again. We camped at High Island RV Park in a Fifth Wheel. Just here for the night. Ocean close but not much of a beach. (Rate shown is based on a weekly stay). Tight but pretty little campground, well maintained and taken care of. The owner is very nice and friendly. The FHU worked well with strong electrical. Weakish but reliable AT&T signal and quite a few OTA channels (no cable TV available). Big rigs will fit but require careful maneuvering; the pads are just long enough and the turns are tight. On the other hand there is ample parking room for tow vehicles or toads. Lots of grassy areas and some landscaping made the park appealing to us. 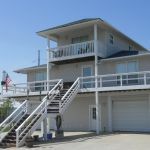 There is one convenience store and one post office in High Island and that's about it (Hurricane Ike pretty much devastated the town and it never recovered); a 15-minute ride due north to Winnie is required for most everything (groceries, propane, etc.). The area is a birder's paradise with four Audubon bird sanctuaries within High Island proper, and Anahuac National Wildlife Refuge just a short drive away. Even during our stay in January, birds (egrets, heron, geese, spoonbills, raptors, etc.) were plentiful near and around town. I'm told it's quite difficult to get a spot in the campground during March and April, at the height of the migration. We camped at High Island RV Park in a Fifth Wheel. If you're in a big rig and looking for one the pull-through sites, I highly recommend NOT driving to the house/office on 4th Street. Instead, turn onto 5th Street and walk over to the office. The reason is that 'making the square' to make your way back from the office to the pull-through entrance on 5th Street involves narrow roads, very tight turns, and steep 6-foot ditches on both sides. Feasible, but needlessly traumatic. 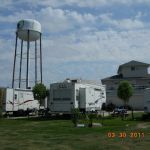 This rv park is a small park with good amenities. It is a little tight getting into the park,but well worth it. The owner was very friendly and courteous. We stayed for three nights and it was very quiet and peaceful. Will definitely stay here again if in the area. Would have given a 10,but the mosquitoes were bad. We camped at High Island RV Park in a Motorhome. The reason I liked this park is because it's within walking distance of several bird sanctuaries. I was here for the spring bird migration, and stayed for one week (weekly rate reflected in rate shown). There are a few pull through sites, but not many, perhaps a half dozen; most are back-in. There is only one bathroom, but I never used theirs. The park is very quiet at night. I slept with the windows open each night. The park stays full in April (and perhaps part of March and May as well) because of all the birders who stay here during migration. So you'll almost certainly need a reservation ahead of time to stay here on that timing. I plan to come back here again next year for spring migration birding. 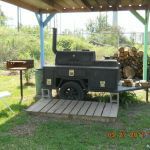 We camped at High Island RV Park in a Travel Trailer. Great place for overnight. Quiet, easy access to highway. If you intend to stay March to May, you will need a reservation as the birders take over. WiFi worked well while we were here. Would stay again if in the area. We camped at High Island RV Park in a Travel Trailer. Very clean, level sites, very friendly owners (one of the owners made complimentary seafood gumbo with salad, bread and it was delicious). We stayed here a week so the rate is based on our weekly rate. There are world-class birding spots within walking distance. We'd definitely stay here again. 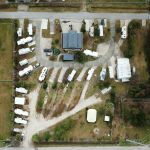 We camped at High Island RV Park in a Motorhome. Nice RV park, but the sites are very close together. There is a single restroom with a shower. The owner lives on-site and she is very nice. Wi-Fi service is good, but we were warned that it doesn't always reach to the furthest spots. We are here for the spring bird migration and we would definitely stay here again. We camped at High Island RV Park in a Travel Trailer. Very nice small park with on site owners. Level cement sites are close together, but more than adequate for our purposes. We are here for spring bird migration and a number of sanctuaries are only a few blocks away. We would definitely return. We camped at High Island RV Park in a Fifth Wheel. Very well maintained. Owners live on site and make themselves available to the needs of their clients. Concrete pads are level. 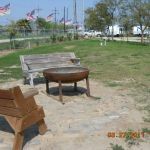 Fire pits are available at most if not all spaces. The office has some supplies but there is not a grocery store for several miles. Bring insect repellent, you will need it. We camped at High Island RV Park in a Fifth Wheel. Very nice clean place. Owners were friendly. WiFi and DSL was free; came in good too. We like to fish and this was great to keep the camper away from the salt air. Laundry and shower were clean. We will go back. We camped at High Island RV Park in a Fifth Wheel. Very nice owners with a well kept park! All sites are level concrete pads. Laundry room was clean and air conditioned with Ethernet connection for Internet access. Short drive to beach (good fishing). Buy groceries before getting here because there is only one convenience store in town that is very pricey on food and drinks. DSL signal was weak in the spot we were in, but we were at the end of the park. We camped at High Island RV Park in a Fifth Wheel. 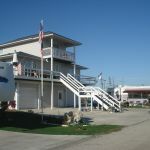 Are you affiliated with High Island RV Park ?